200g 45rpm Vinyl Double LP Plated & Pressed at Quality Record Pressings! Remastered at Sterling Sound by Ryan Smith from the Original Analog Tapes! 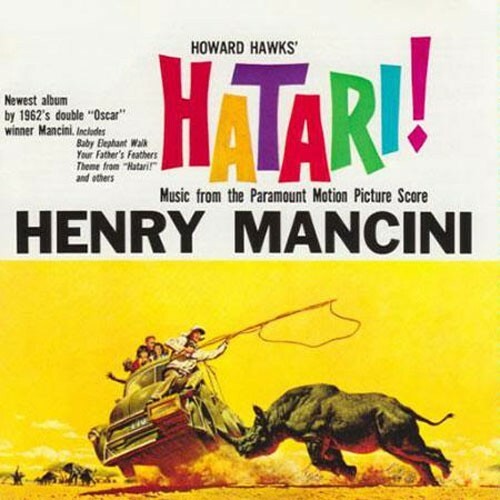 Coming off a double Oscar win for his Breakfast at Tiffany's score, Henry Mancini produced this score for the Howard Hawks-directed, John Wayne-starring safari comedy Hatari!. Now Music from the Paramount Picture score Hatari! is back bigger and better than ever! The album has gone the deluxe Analogue Productions route - remastered from the original analog tapes by Ryan Smith at Sterling Sound, cut at 45 RPM, plated and pressed as a 200-gram 2LP at Quality Record Pressings. Then packaged in deluxe tip-on gatefold jackets from Stoughton Printing. A great title, a brilliant reissue. Exceptional!